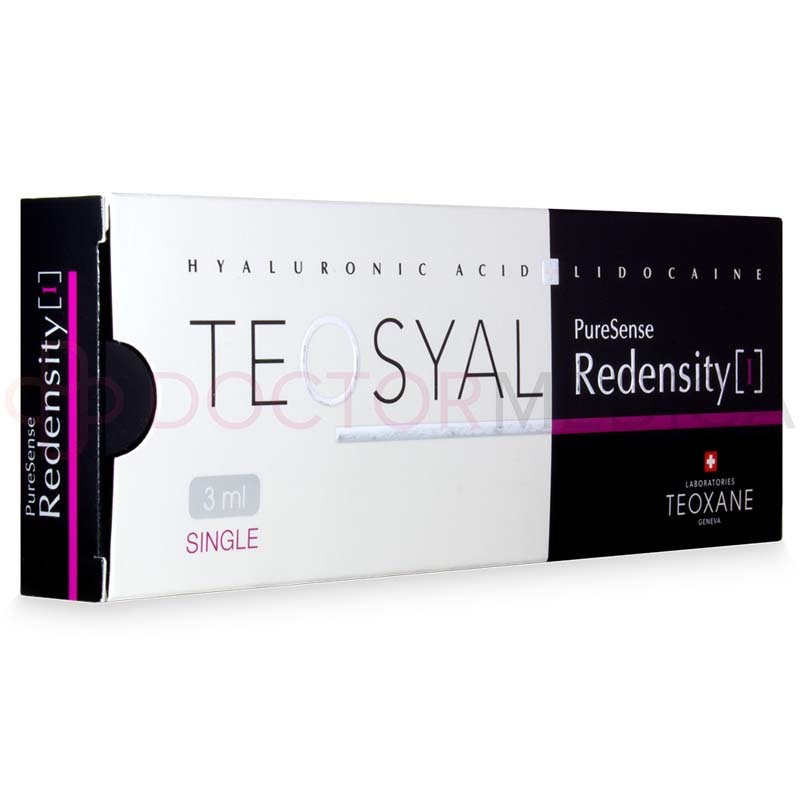 Teosyal PureSense Redensity I is conveniently available for purchase from DoctorMedica.com. You can easily place orders online, by phone, fax, or email. We only offer authentic, brand name orthopedic injectables, aesthetic injectables, and ophthalmic solutions at DoctorMedica.com. Simply sign up for an account and you can begin ordering. If you were referred by a colleague, call one of our friendly customer service representatives for more information about our referral program. 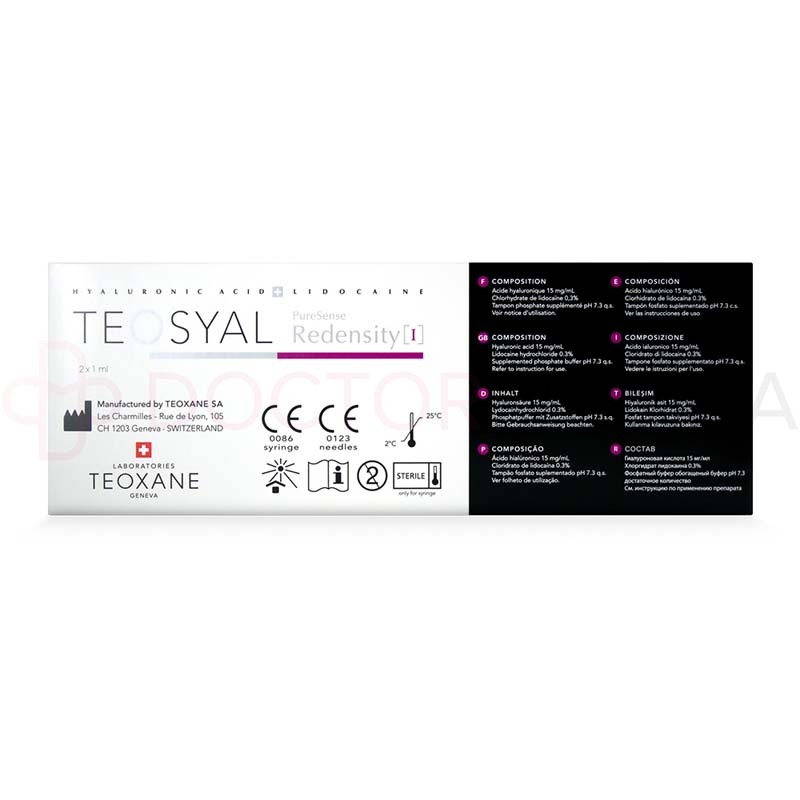 There are two package options to choose from for Teosyal PureSense Redensity I. Teosyal PureSense Redensity I comes with two prefilled 1ml syringes, four 30G ½” needles, four traceability labels, and the package insert. 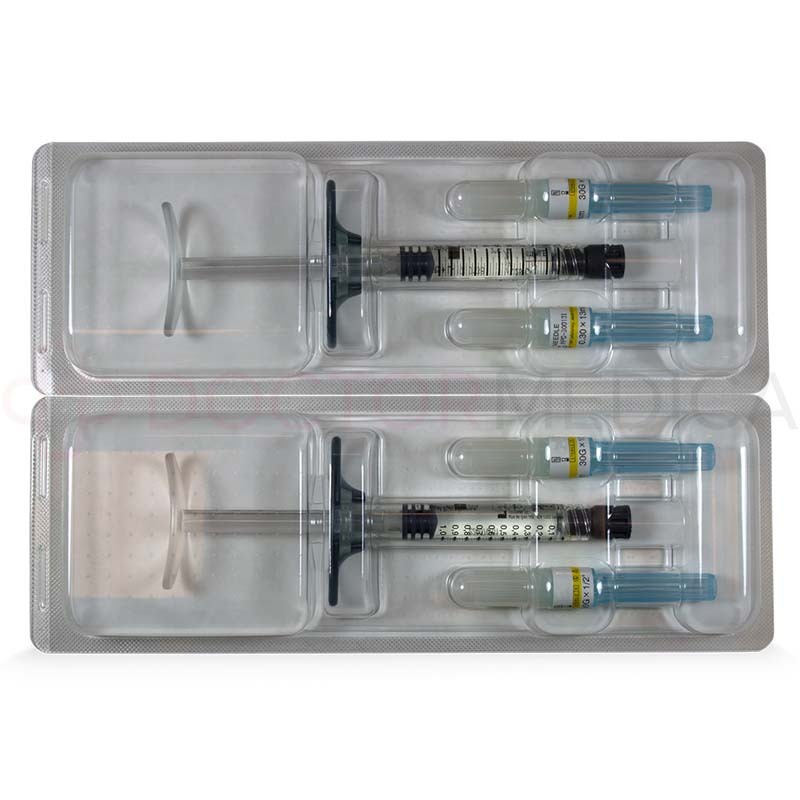 Teosyal PureSense Redensity I comes with one 3ml syringe, two 30G ½” needles, two traceability labels, and the package insert. Teosyal PureSense Redensity I help patients regain their youthful glow and improves skin texture and firmness through rehydration, oxidative stress prevention, and dermal structure restoration. Once administered, skin is left looking revitalized and radiant. 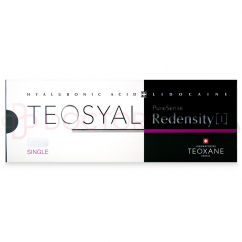 Teosyal PureSense Redensity I is exclusively developed with ingredients specially chosen for their anti-aging benefits. 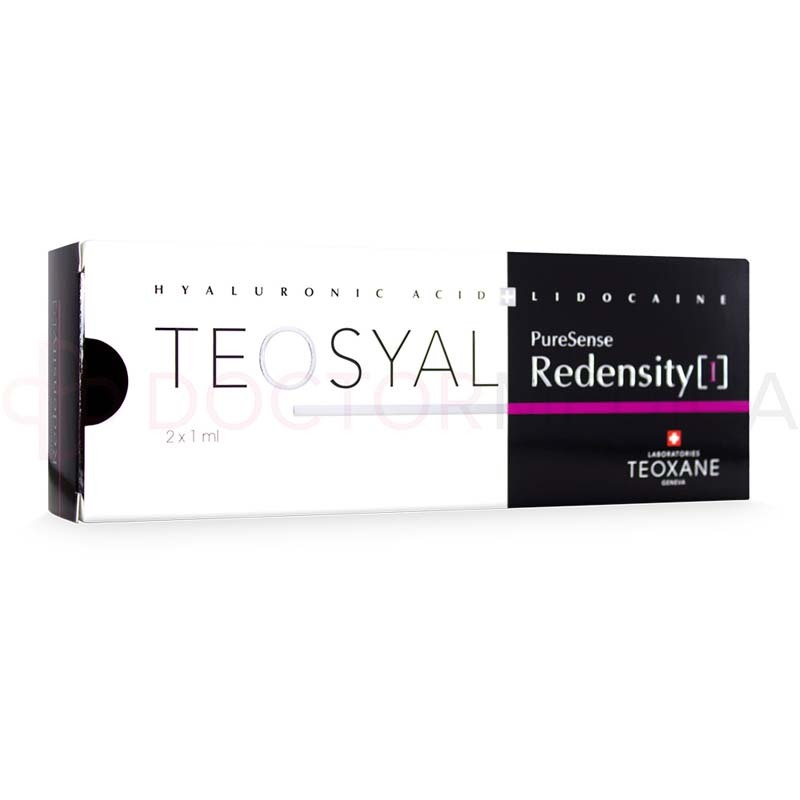 The exclusive formulation in Teosyal PureSense Redensity consists of hyaluronic acid; a proprietary mix of antioxidants, minerals, vitamins, and amino acids collectively called the Dermo-Restructuring Complex; and lidocaine, a numbing agent. Over time, previously youthful looking skin will start to display signs of aging, such as dehydration, loss of elasticity, and worsening tone. These signs can be mainly attributed to the loss of hyaluronic acid in the skin and oxidative stress, which weakens skin structure and reduces elasticity in the skin. Teosyal PureSense Redensity I combats these developments through the synergistic actions of hyaluronic acid, which hydrates skin and improves volume and elasticity, combined with the skin regenerating and protective qualities imparted by the Dermo-Restructuring Complex. Together, they bring about structural rejuvenation to the skin. 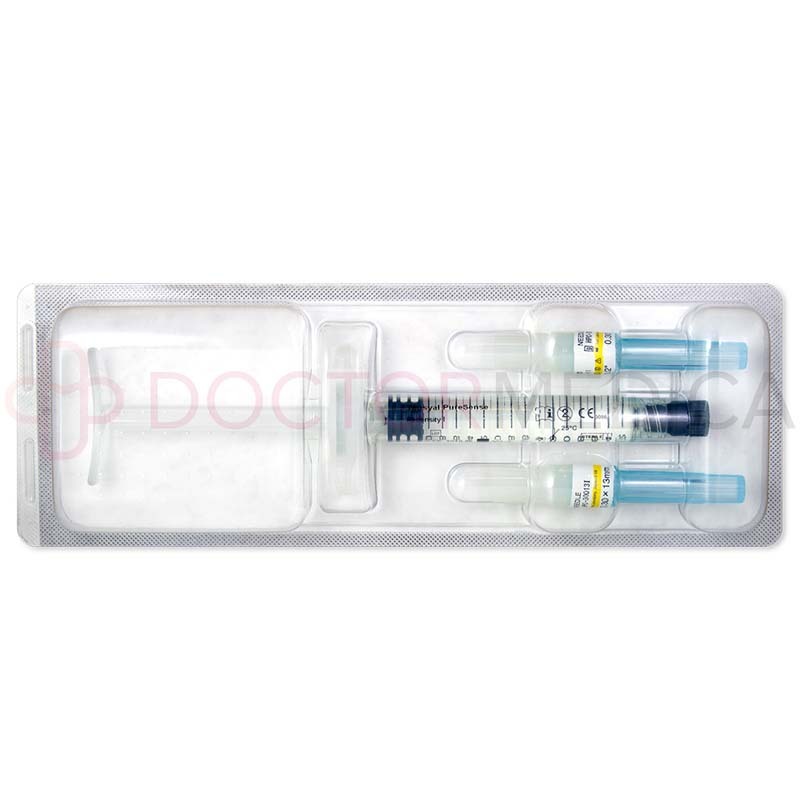 This injectable should only be administered by a licensed practitioner. The treatment consists of small injections across the dermis to ensure even distribution of product into the skin. Prior to treatment, several pre-injections by bolus of 0.05ml of Teosyal PureSense Redensity I should be made along the forehead, cheeks, neck, and décolletage to improve the effects of lidocaine. After waiting for one minute, treatment may then proceed. For injection into areas that are frequently exposed to the sun, the manufacturer, Teoxane, recommends the use of the multi-bolus injection technique for better rehydration. In areas that are less exposed to the sun, the multi-puncture technique should be used instead. For optimal effects, three sessions of treatment performed at three-week intervals should be performed. 2–3 sessions per year is the treatment regimen recommended to maintain the results. A single session of Teosyal PureSense Redensity I usually takes 20–45 minutes, which is similar to the treatment duration of other cosmetic fillers. There is no recovery period associated with this treatment. 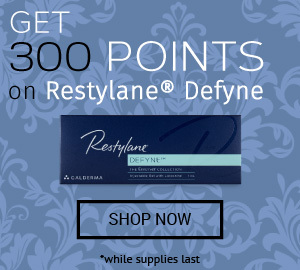 This product is used for the purposes of dermal rejuvenation and skin-boosting. As a form of mesotherapy, it is able to combat the signs of aging by restoring skin density and hydration, which leaves skin revitalized, youthful, and glowing. Teosyal PureSense Redensity I should be used on the face or neck. This product is also indicated for use in the neckline, a region that is very often neglected by conventional therapies. Results are instant and cumulative and usually last a few months before the product ingredients are metabolized and absorbed into the body. As mentioned above, 2–3 sessions should be performed a year to maintain the effects of this product. This skin therapeutic treatment is a safe, effective and natural way to nourish the skin from within. Its efficacy is clinically proven and is a product that contains non-allergenic ingredients, so it generates very mild side effects, if any. With products in more than 80 countries, Teoxane ranks among the top three manufacturers of hyaluronic acid-based dermal fillers in the world, making Teosyal a brand that can be trusted to deliver great results. 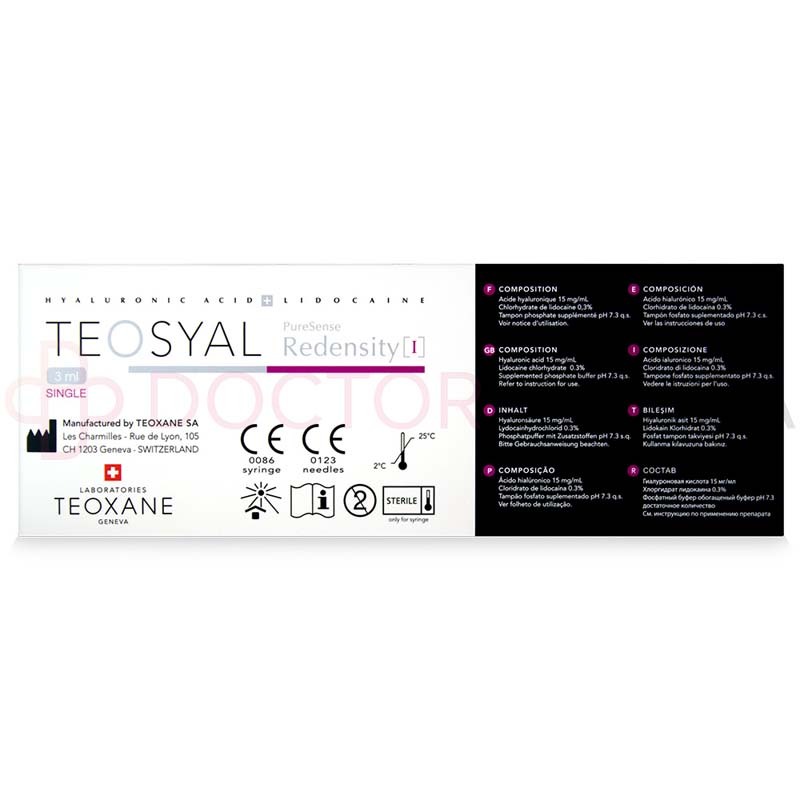 Teosyal PureSense Redensity I is intended for men and women who are looking to enhance their skin while preventing premature aging in a natural, subtle way. Candidates should not have a history of hypersensitivity or allergy to any of the components of this product. Also, the safety and efficacy of hyaluronic acid has not been studied in pregnant or breastfeeding women, as well as in children under 18 years of age. Like any cosmetic filler, an injection of Teosyal PureSense Redensity I has some potential side effects. Such potential side effects include mild bruising, swelling, or redness localized to the sites of injections; however, these effects usually dissipate within a few days. However, patients should seek medical attention if the symptoms persist for more than a week. This list is not exhaustive. Please refer to the product leaflet for a full list of side effects, precautions, and contraindications.